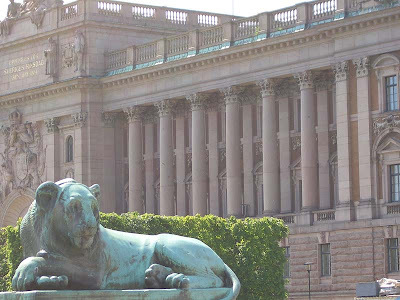 Stockholm is a beautiful city. I'm only posting a few of the many pictures I took because I really couldn't decide which ones to keep and which to leave out. 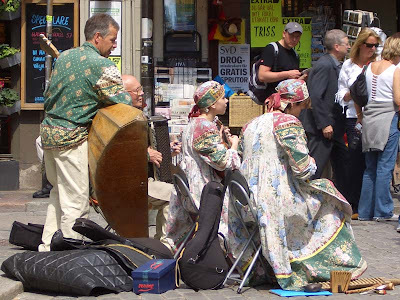 Street musicians visiting from Russia. The contrabass balalaika can cause some serious back strain because you spend a lot of time slightly bent over. I remember how it felt when I played in a balalaika orchestra for a little while. The shape of the balalaika makes it nearly impossible to not hunch over at least a little bit. But the novelty of it and the amazing feeling of all of those strings being plucked at the same time definitely makes it worth the pain that it induces. 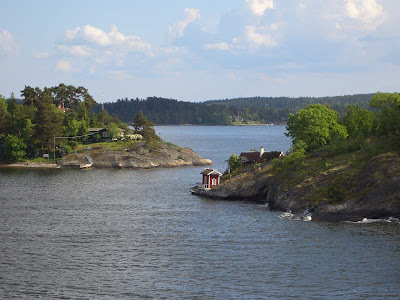 The route from Stockholm back to Helsinki passes through many small islands. The scenery is splendid.